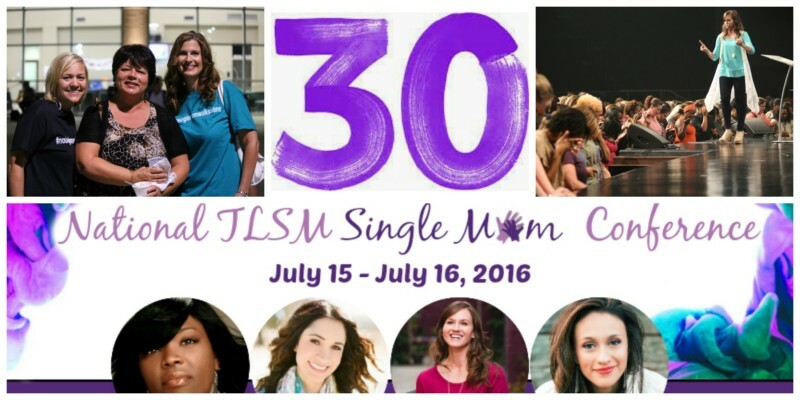 The National TLSM Single Moms Conference is only thirty days away. And it simply wouldn’t be the same without you there! The Life of a Single Mom Ministries is welcoming all ladies to come take part in this life-changing, two-day event on July 15-16, 2016, being hosted at Healing Place Church at 19202 Highland Road in Baton Rouge, Louisiana. Why are you doing a conference? Why Baton Rouge? Why single moms? Why do I need to attend? What can I expect if I come? Will there be childcare? What about food? These are all questions that we have fielded over the last few weeks. And we are bringing you answers today. There is power in the gathering of God’s girls. We believe a conference is a perfect way to set aside time from our busy schedules to just hear from God, to just see what He would want to do in our lives, and to work on empowering women in a significant way to parent well, manage their money effectively, and overcome life’s challenges. The conference kicks off at 7pm on Friday, July 15. We will open the doors at 5pm and attendees are welcome to visit vendor booths, allow their children to jump in the bounce house or do crafts, and just enjoy special time with new friends from around the United States. The conference will include breakout sessions from national speakers, where single moms can choose 2 sessions that are most important to them. We will have worship with the Healing Place band, a special opener, national speakers, and food will be served after the event is over on Friday night. On Saturday, we will have a special dance party, just for you, moms! We will have worship and prayer time, breakout sessions, breakfast and lunch, along with some yummy snacks, and a special time of photographs with new girlfriends and all our speakers. In addition to all that, you will have access to amazing door prizes, special gifts, national informational booths, and much more.